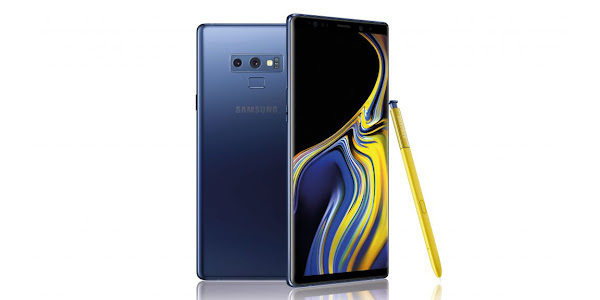 Samsung Galaxy Note 9 users in South Korea, Germany and India are now receiving the Andriod 9.0 Pie software update which includes the new Samsung One UI improvements along with the new features. Over the past week, customers participating in the beta program for Android 9.0 in these regions have been getting OTA prompts, urging them to update to the latest version of Android Pie. Samsung warns that those who remain on the beta will cease getting updates and a lot of the forum and membership features won't be working unless they get from Oreo to Pie with the official firmware. The same firmware version has even been rolling out to users in the UAE who were not part of the beta program, indicating that this is indeed the beginning of a global rollout. The update size could vary based on your beta participation, with the full size weighing in at 1.6GB in some cases. Back at its Developer Conference in the fall, Samsung said that it will be rolling out the Android 9.0 Pie update to its flagship Note 9 and Galaxy S9 in January and it is seemingly delivering on that promise. With Android 9.0 Pie, your handset should gain features like improved notifications, app slices, an updated 'Do Not Disturb', Adaptive Brightness and Battery Enhancements, Digital Wellbeing, App Actions, An Improved Recent Apps View, Rotation Controls, an easier way to take screen-shots, indoor location tracking, and a new gesture-based navigation. Additionally, you will be getting Samsung's new One UI interface which will be the company's future adaptive interface for Android. Now with Android Pie rolling out to global users, it shouldn't be long before customers in the United States are also treated to the latest version of Android on their Note 9.